Here’s an elegant idea brilliantly realized. 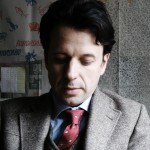 Nicola Cipani is a pianist who scouted the New York City area for broken or untuned pianos to improvise on. The variety and intrigue of timbres he found at his fingertips is as exciting as you might hope for. Clusters splatter; melodies buzz and sputter; notes grunt instead of singing. Nicola strikes a great balance between the viscerality of timbral jump-cut action (think Kagel) and the milder thrills of elliptical phrases changing slope. Because it’s the keyboard being played, not the strings themselves, the music is much closer to the perverse percussive perambulations of prepared pianos in the Cowell, Cage, et al tradition, than the similarly popular tradition of piano-guts playing in the vein of Maroney, Neumann, et al. Having settled in Brooklyn and taken on an academic career after spending most of his life in his native Italy, where his early adult years were spent playing avant-leaning jazz, this disc is an overdue resumption of musical pursuits for a savvy and talented musician with no desire to be a redundant ivory tickler. Like horn players who develop idiosyncratic timbral vocabularies without abandoning the conventional physicality of their instrument and its attendant resources of ingrained melodic and rhythmic intuition, Nicola avoids both extremes in the continuum from banality to abstraction. 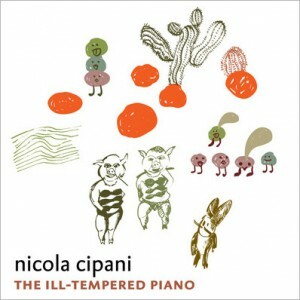 The secret of improvisation is avoiding cliches; the unique states of disrepair of these pianos virtually guarantee success, but Nicola’s phrasing is so precise and nuanced that the music goes a lot deeper than timbral novelty. Just like the man who made it, the music is endlessly clever, astute, and playful. Sometimes I get burned out on piano music, but this disc proves how incredible the instrument can be when it’s not limited to the same 12 notes and the same clean attacks and decays. Bravo to the new and promising Italian label Long Song Records for sharing a distinctive gem deserving to be heard.